Oh, no, ancient Roman history! Dead white males talking about dead white males! The sort of thing you expect from desiccated old prep school teachers and moldy dons from Oxford and Cambridge. Well, sit back in your reading chairs, because you’re actually going to enjoy this book. First off, as of this writing, Mary Beard is neither dead nor male. She is a Cambridge professor, but after you finish reading SPQR: A History of Ancient Rome (New York: Liveright Publishing Corporation, 2015), you won’t hold it against her. Because this is a readable history, an engaging history, one suitable for a general audience. And yet at the same time it is not shallow. Moreover, readers will even learn something about how historians do their work, and why it can be exciting. How does Prof. Beard do it? All the chapters are anchored in concrete examples. These serve as Beard’s launching pad for addressing her selected topics in each period of Roman history. For example, take Lucius Cornelius Scipio Barbatus (d. 280 BCE[i]). If you look him up in Wikipedia, you will find a horribly dry account of his military career, which will bore your pants off even if you do understand the historical context of Rome’s Italian wars. In contrast, Beard uses his sarcophagus to discuss the values of Roman men in Barbatus’ era, the development of Roman political and military power in the early centuries of the Republic, and the social conflicts of the same era, before launching into a discussion of Roman law, anchored by a different example. And she does this so smoothly you don’t realize the range of what you’ve just learned in a few pages. Beard discusses ancient restaurants and bars while comparing the dining habits of the rich and poor. As you can gather from that description, Beard’s is not just a dry political or military history of Rome, like the one I read in high school. [ii] She’s concentrating on what she thinks are the important developments, whether they be political, social, economic, or cultural. So she has extended discussions about what the legendary stories of Rome’s founding meant to later Romans, the mechanisms by which Roman power spread, and how the common people lived, while skipping over such details as the specifics of every war or the reigns of every emperor, if they don’t contribute to her analysis in any significant way. Readers will come away with an understanding of how Rome was able to conquer and incorporate peoples, first in Italy and then around the Mediterranean, without getting bogged down in the details of the Third Samnite War or the reign of the Emperor Vitellius (who isn’t even mentioned by name). Along the way, Beard is frank in explaining how historical evidence leads her to certain conclusions, and on the limitations of historical research. She persuasively argues, based on archaeological evidence and comparative historical analysis, that early Rome simply wasn’t large or sophisticated enough to have the elaborate government depicted by later Roman historians such as Livy. And she admits that historians have inadequate means to assess how Christianity spread in any detail, while at the same time arguing that the structure of the Empire did indeed facilitate that spread. Frankly, reading Beard’s book was a joy. Her writing is smooth, so much that this will be the fastest 500+ page history book you’ll ever read. Beard communicates her enthusiasm both for the subject matter and the nature of historical research quite well. 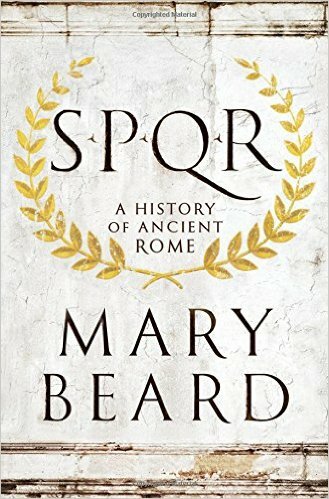 It’s hard to hit a balance between being scholarly and popular in a history book, particularly one on more remote periods, but Beard has done it with SPQR. [i] For dates, Beard uses the “common era” convention, so dates are given as BCE, Before the Common Era, and CE, during the Common Era. These are identical to dates using the convention of the Christian Era, B.C. and A.D., respectively. [ii] No, I don’t recall the title or author. It was not an assigned reading, but a book I picked out of the library on my own to read. Yes, I was a history nerd even then. This entry was posted in review and tagged ancient Rome, book review, history, Mary Beard, Roman history, Rome, SPQR on March 12, 2016 by Brian Bixby. This sounds fascinating! I have always been put off of Roman history but hopefully this book will engage me. Beard is certainly very engaging on television! I don’t blame you, given how Roman history is usually taught. We don’t see or hear much about Beard here across the Atlantic, so I was surprised to find out she’s not just a scholar but has a role as a pundit. I only knew about her from another historian of ancient Rome. I have seen (I think on YouTube, might be on BBC iPlayer) a series on Rome presented by said Mary Beard. And having gorged myself on a glut of such programmes in the past, have ignored them. Perhaps I should not have done. Certainly your review of her book inclines me to seek out the series—or perhaps the book (though my reading list more resembles an overladen ship . . . it is listing to port.) Thank you from removing the over-sated blinkers from my eyes. I’ve not seen the series, though she does briefly mention it in the book’s acknowledgements as being a related project, but not the same. i.e. read the book, not watch the series. Oh well, it’ll have to be added to the list. But thank you for reviewing it. Brian, I enjoyed the review. Coincidentally I just put down a book about the spread of Christianity. 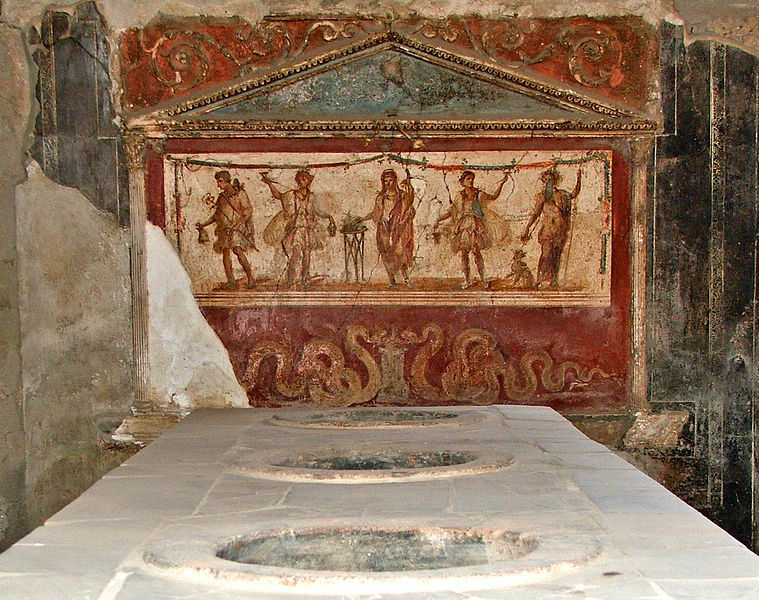 I did not make it through the Roman period as the book was dry and dull. You mentioned that Beard admits “that historians have inadequate means to assess how Christianity spread in any detail”. The author in the book mentioned above said the same thing, which was jarring to me as many other historians do think they know. (conjecture?) Now, I am really curious, and will seek Beard’s book out for this and the other reasons you mention in your review. Sari, thanks for the compliment. I suspect part of the argument comes from what it means to track the spread. Is knowing when a missionary first appeared in a province enough, or do we have to try to figure how how many and what kind of people accepted Christianity? And then there’s the question of who is a “real” Christian, one which even contemporaries struggled with. Were the people who performed a token act of pagan worship during the Diocletian persecution still Christians? The North African church split over this issue (the Donatist controversy). I’m sorry. I don’t quite understand this. Historians have inadequate means to assess how Christianity spread in any detail? Are we talking about the early chuch, pre-Constantine? If so, doesn’t the missionary work of St. Paul give us a hint? Or are we talking post-Constantine, where Zosimus, Jordanes, et. al. tell us explicitly? Maybe the word “detail” is the point. As in, perhaps, detailed anthropological studies handed down to us from the first through fourth centuries. And if that’s the standard, than Ms Beard might as well assert that historians have inadequate means to assess anything about the time period. Since Beard does not require detailed contemporary anthropological studies to write the 500 pages of this book, let alone her other works on ancient Rome and its people, you may safely assume that is not her required standard of evidence for knowing about the time period. This isn’t a case of holding proof of Christianity to a higher standard than the rest of history: Beard is not concerned with the truth of Christianity, only its effect on Roman history. Was he related to *the* Scipios? He IS one of the Scipios. He’s great-grandfather to P. Cornelius Scipio Africanus, the famous general from the Second Punic War who defeated Hannibal at Zama, just outside Carthage, in 202 BCE. You’re again due for another post! With classes starting up in the fall, I should actually have some material for new ones!